The Japanese tea ceremony is famous the world over for its precise ritualistic nature and cultural significance. 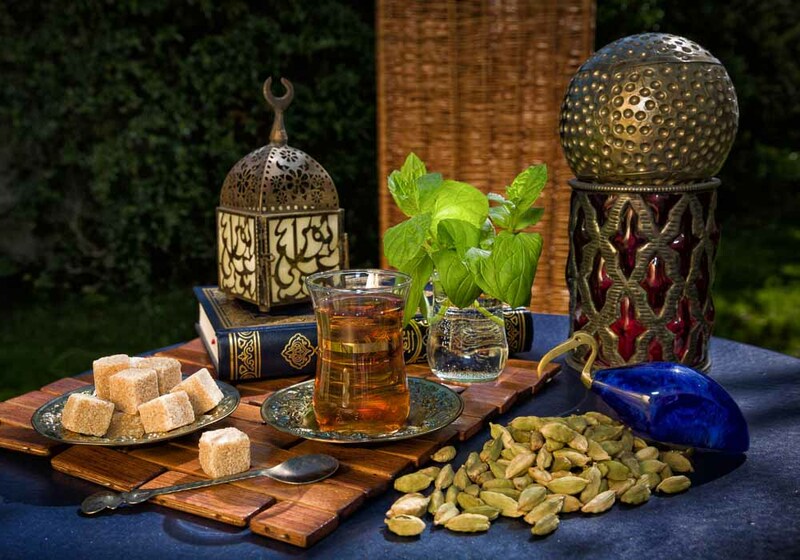 Mint tea is just as important in Moroccan culture. 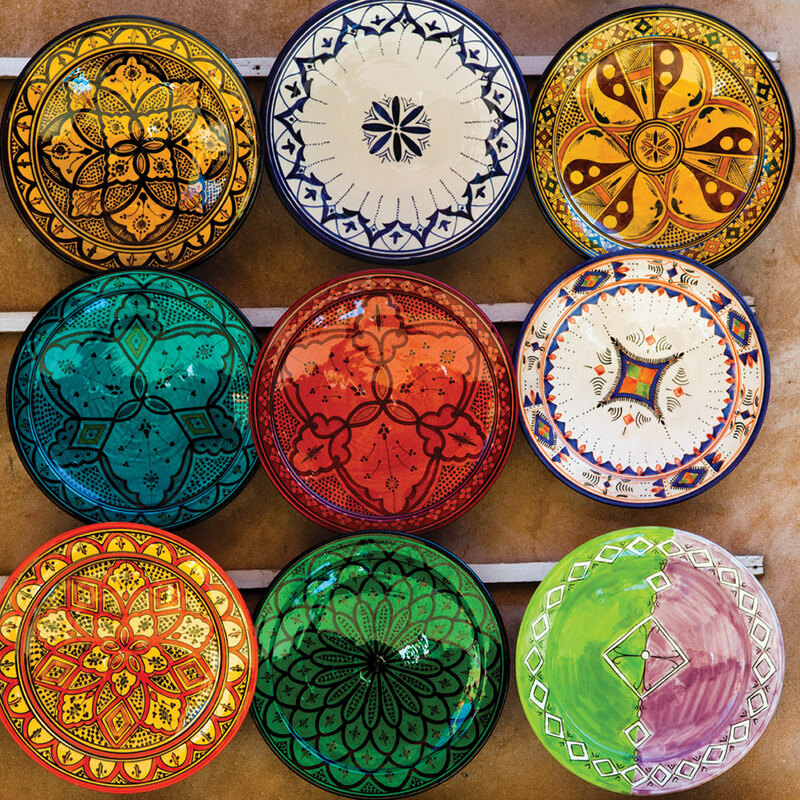 You’ll find that even in the poorest regions, families who may have no utilities, furniture or even a door to their house, will have a Moroccan tea set sitting on a polished silver tray. The drink is actually green tea from China that has had Moroccan mint added to it and around a dozen sugar cubes per tiny pot! It’s taken in different ways depending on who is making it and where you are; men make theirs with heaps of sugar and lots of flourishes, women less so. 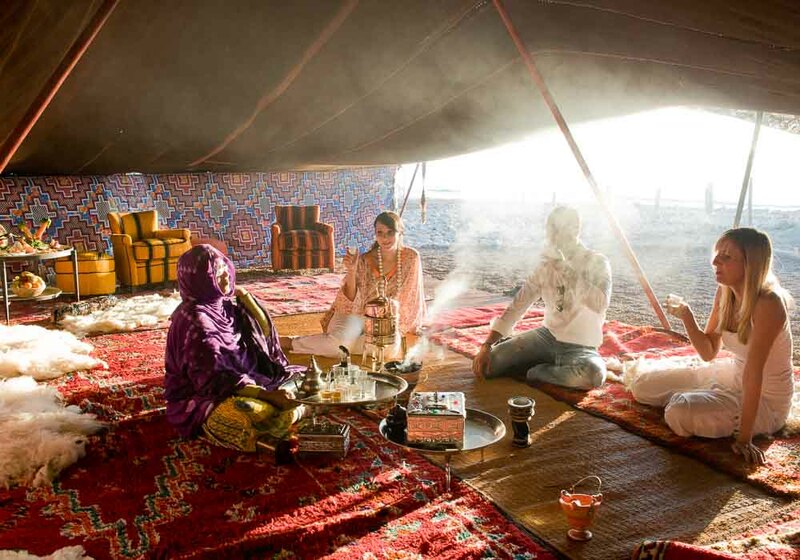 Southern Moroccans tend to serve the tea three times, going from strong and bitter to weak and sweet. Taking Morocco tea is not something to be rushed. It’s a social occasion, a time to slow down, to connect and to find peace.